The race to become the first to unveil a foldable / dual-screen mobile device is on. Samsung wants to reach the milestone first and has been teasing the concept for years. In recent months, we’ve heard that Microsoft is also exploring the possibility with its Andromeda concept. Both, however, may be beaten to the punch by a third contender – Huawei. In a recent interview with German publication Welt, Richard Yu, CEO of Huawei’s consumer business group, said people are still using a computer because the display on a smartphone is too small. “We will change that. It is conceivable that a display can be folded out,” the executive added. When pressed on the matter, Yu said Huawei is already working on such a device and that “you will not even have to wait another year” for it. Artificial intelligence and 5G will both play a major role in the next chapter of the smartphone, Huawei believes. Asked what would be the next big thing after the smartphone, Yu’s answer was simple and to the point. 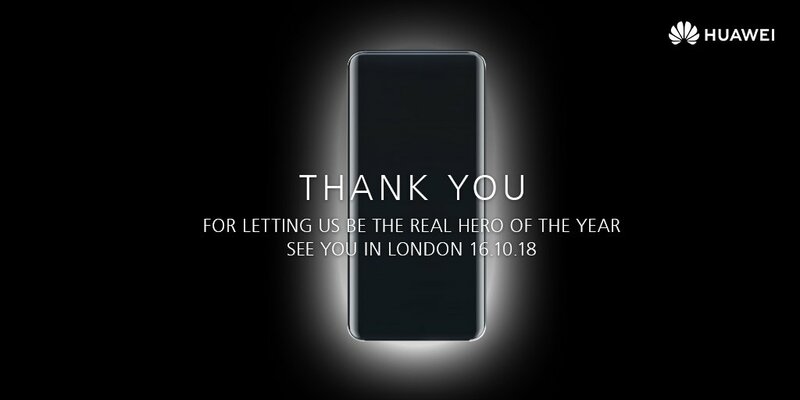 Huawei is expected to unveil its Mate 20 Pro flagship – perhaps as many as three variants – on October 16. Samsung recently hinted that its Galaxy X device could make an appearance by the end of the year and Microsoft has a press event scheduled for October 2. Remember the last time, a smartphone manufacturer, tried to "beat" the other one to the door? I wonder who manufactures the foldable screen for Huawei? Is this the foldable smartphone Samsung never released?